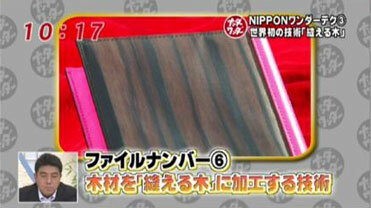 Developer and Manufacturer of the revolutionary thin flexible real wood sheet. Pioneer of the Insert Molding Wood. Here is the list of our exhibitions at international expositions and media covers on TVs, magazines, and newspapers. 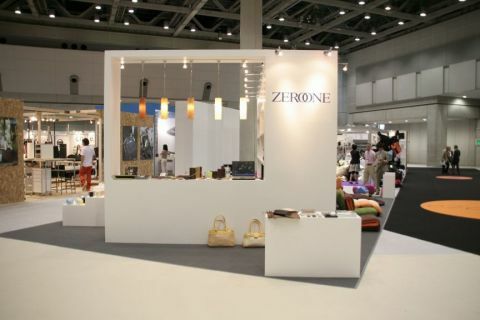 We have exhibited many domestic and international expositions. Our company have been covered 14 times by many TV broadcasting companies. We have been also covered on many magazines and newspapers. First in the World! Shaver with the grip that is molded in one by insert/injection molding with real wood veneer. "Panasonic LAMDASH ES-XLV9C" limited edition sale!! From Left: Teak, Walnut, Mahogany, Rosewood, Pearlwood. We exhibit at "OSAKA CREATE FAIR, OSAKA STYLING EXPO LIVING" held at Kintetsu Department Store Main Store Abeno Harukas from January 18, 2017. We sell higgie brand iPhone6/6S case (jacket) that utilizing our Tennâge® flexible real wood sheet and IMW method. 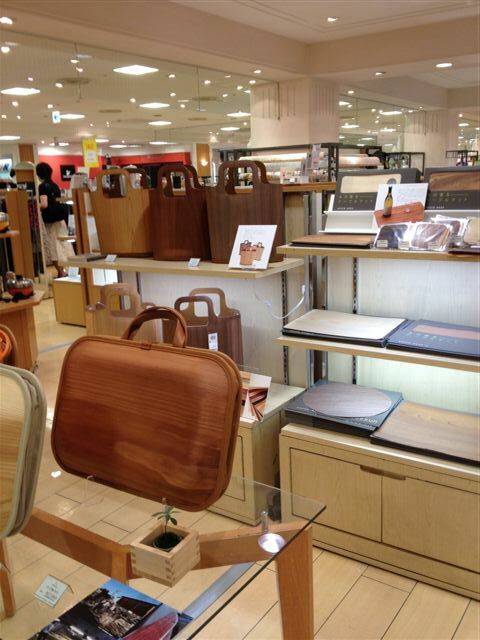 We also sell WOODUM brand tablemat. Please come to see and touch its real wood feel and texture. 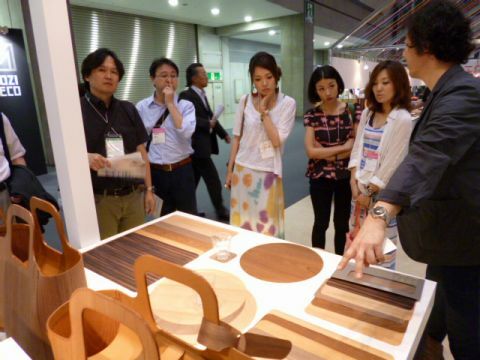 ■Exhibit at Automotive Engineering Exposition 2016 Nagoya; Special Planning Exhibition called "Wisdom, Technique, Craftsmanship supporting Japanese manufacturing"
We exhibited at Automotive Engineering Exposition 2016 Nagoya; Special Planning Exhibition called "Wisdom, Technique, Craftsmanship supporting Japanese manufacturing" held at Port Messe Nagoya from June 29 to July 1, 2016. 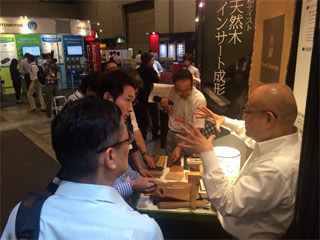 Many attendees visited our booth at "Japanese style" category at the exhibition. 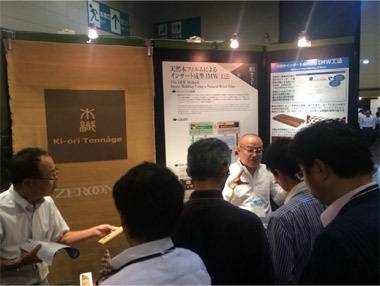 They were explained and enjoyed our only-one-technology such as Tennâge® and IMW method. 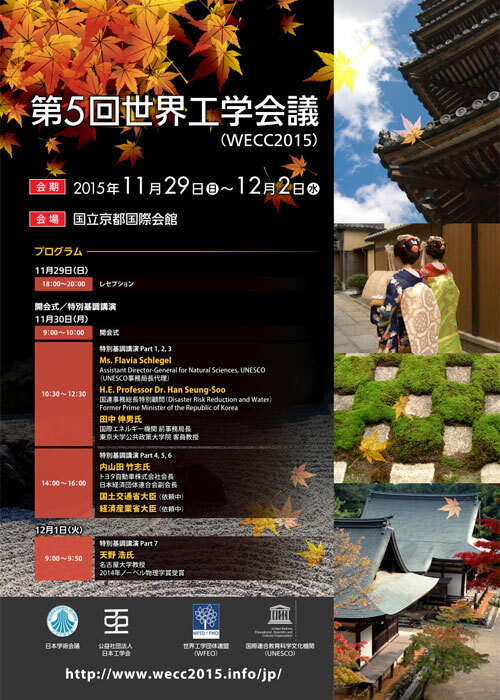 Exhibition Space: Tenji-kan No.2, "Wisdom, Technique, Craftsmanship supporting Japanese manufacturing"
■Exhibit at World Engineering Conference and Convention, "WECC2015"
We will send you the invitation if you request. (We have English version also). Please contact us. 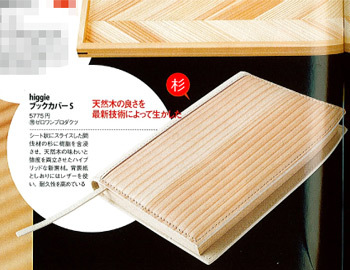 Using "Tennâge®- flexible real wood sheet" as a horizontal thread, we weave real wood into wood textile. 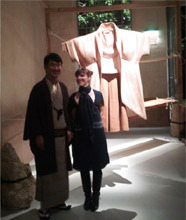 KIMONO made by wood textile was exhibited at the State Guest House at Ministry of Foreign Affaires of France, which is in La-Celle-Saint-Cloud Castle, on the outskirts of Paris. The beauty of real wood grain can be worn. It is truly the "Wearable Wood". 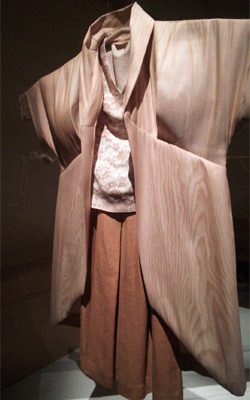 » Click here for the KIMONO using "WOOD TEXTILE"
We exhibited at "Interior Life Style Exposition 2012" held at Tokyo Big Site. Our WOODUM brand was a hit among many visitors. 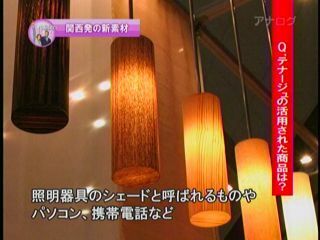 Our company was introduced on the program called "NIPPON Nander Wonder" at "Mezamashi Doyou Mega", by Fuji Television Network. 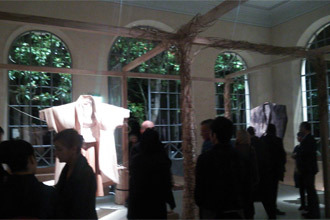 The wonder of "Sewable Wood" was the theme, and our process of Tennâge®- flexible real wood sheet and its products were introduced. 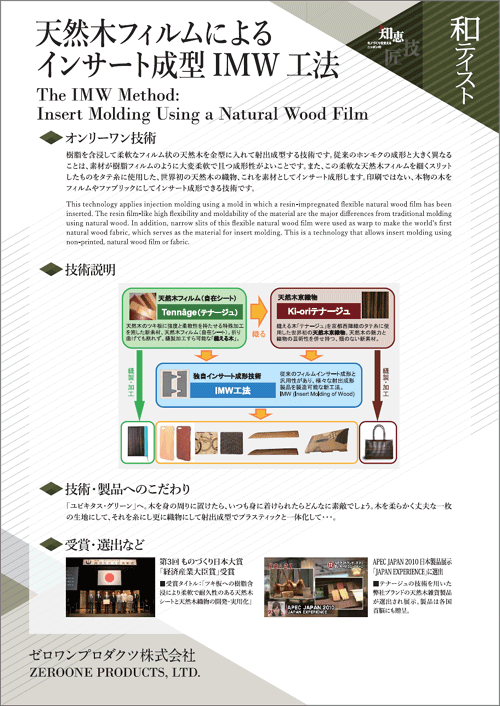 Our product was published on "Japan’s Surprising Stationary", Goods Press, as "a product that has a goodness of real wood with a newest cutting technology". 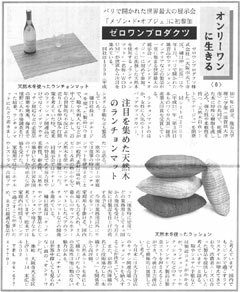 Nikkan Economic News reported our company and our products on June 4, 2012, title captioned as "Lifestyle of Only-One". On their report, our Tennâge® is introduced as a truly "only-one-of-a-kind" product. In September 2012, WOODUM section was placed at Daimaru Kobe, kitchen section at 7th floor. Tablemat, tote-handbag, and WOODUMxmonacca are sold. Copyright © 2018 Zeroone Products Ltd. All Rights Reserved.